Create your own personalised phone case for the iPhone 8. 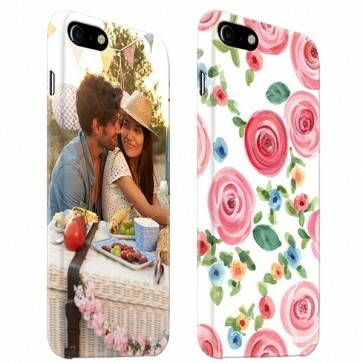 The case protects your phone from scuffs and scratches Use your favourite photo as a custom design! With GoCustomized you can make your own custom iPhone 8 case. This is not just a phone case, but one with your own unique flavor! 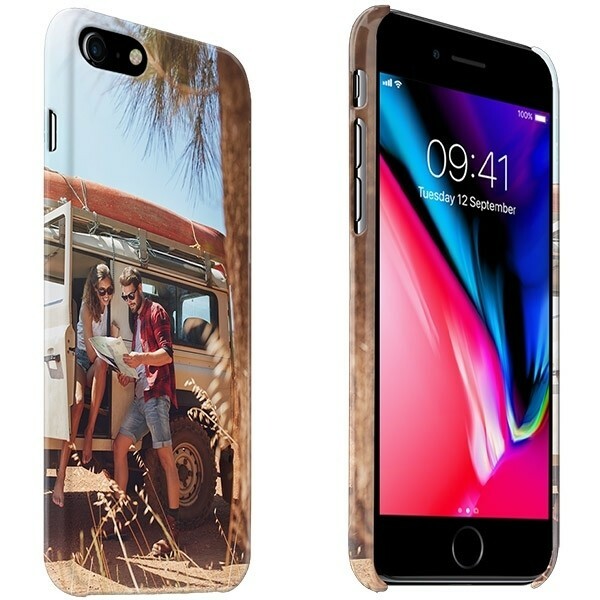 This is fully wrapped, which means that the entirety of the case is used for your custom design; The image is printed on both the sides and the back of the case. 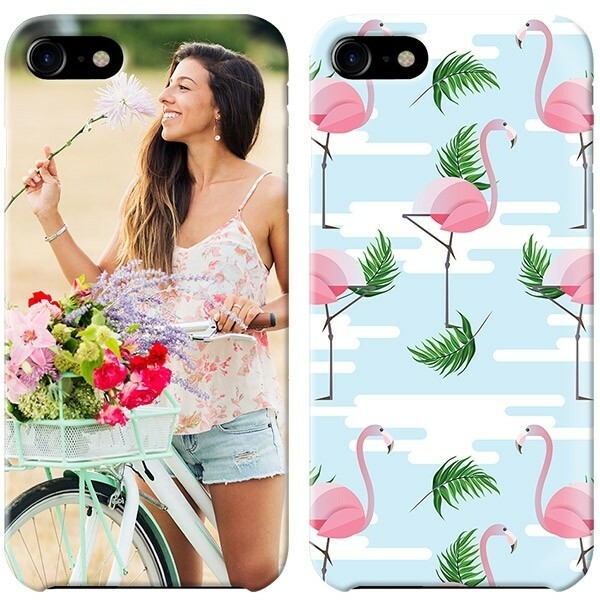 With standard Hard Cases, your design comes on the back of the phone case only. Wondering how can you customise an iPhone 8 case? You can read that below! How to customise an iPhone 8 case? Making an iPhone 8 custom phone case is very simple. Through our design module, even those with little to no experience with the these kinds of things can design their own custom phone case. Just follow these steps! Step 1: Click the "Start Now" button above. Step 2: Upload the photo you would like to have on the custom case. Step 3: Add any text. Step 4: Click on "Add to Cart". Step 5: Check your order again. Make sure this is correct because it can be difficult to cancel or change the order! Step 6: Enter your address information and choose the payment method. Step 7: Follow the payment steps and finish it! As soon as we receive the payment, we will begin producing the custom phone case so we can ship it as soon as possible! Don't have any creative inspiration? That's no problem. We always have the hottest designs available in our design module, so you can make a custom iPhone 8 case with ease. I have payed. How long do I have to wait? Not long! The delivery time of your case depends on the delivery method you have chosen. So if you need your custom phone case fast, make sure to ship with GLS. What are you waiting for? Start with your own custom iPhone 8 case design!